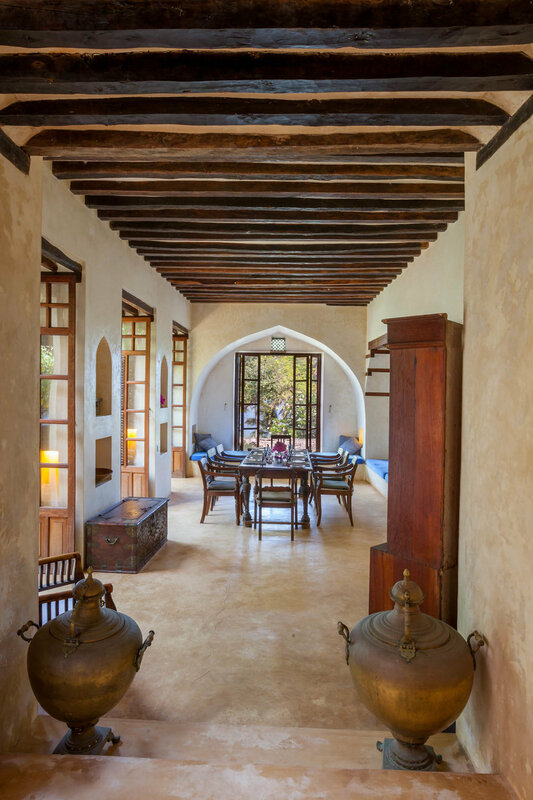 Mama Daktari can be rented with up to 3 other houses on the same compound for larger groups up to 20 pax. 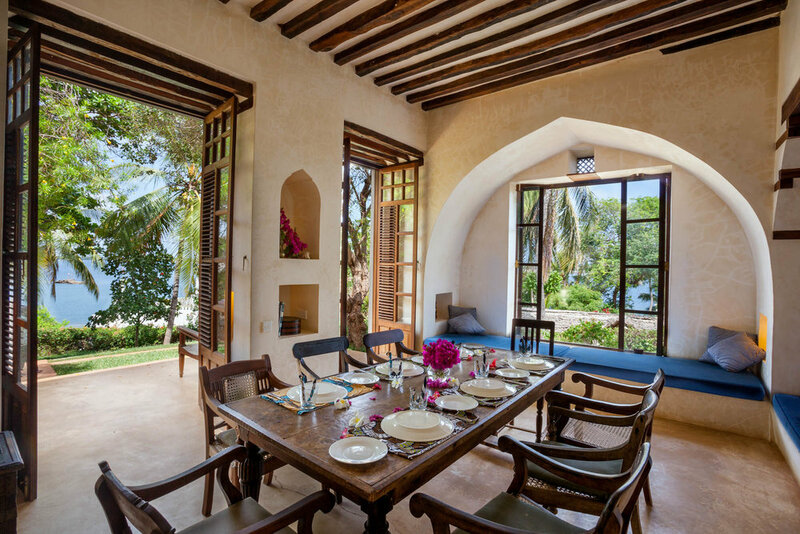 Large lounge area and inside dining to seat 6–10 guests. 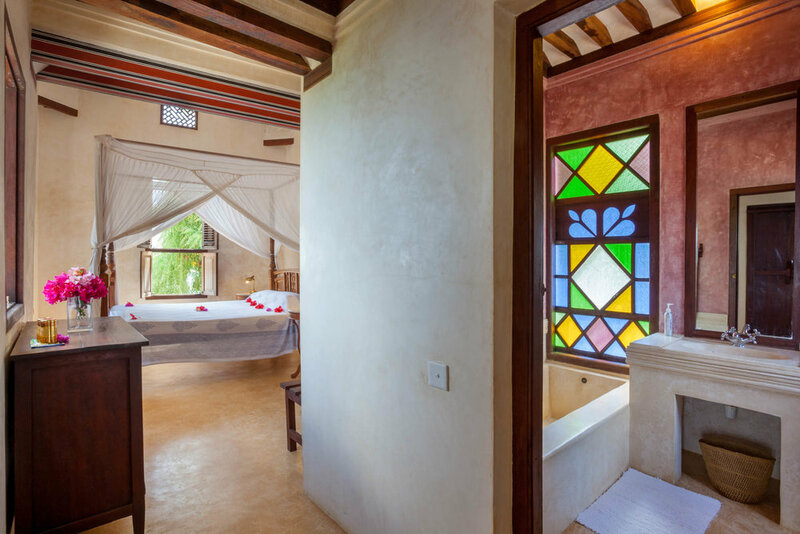 All areas and rooms are tastefully furnished and elegantly designed in traditional Lamu style. 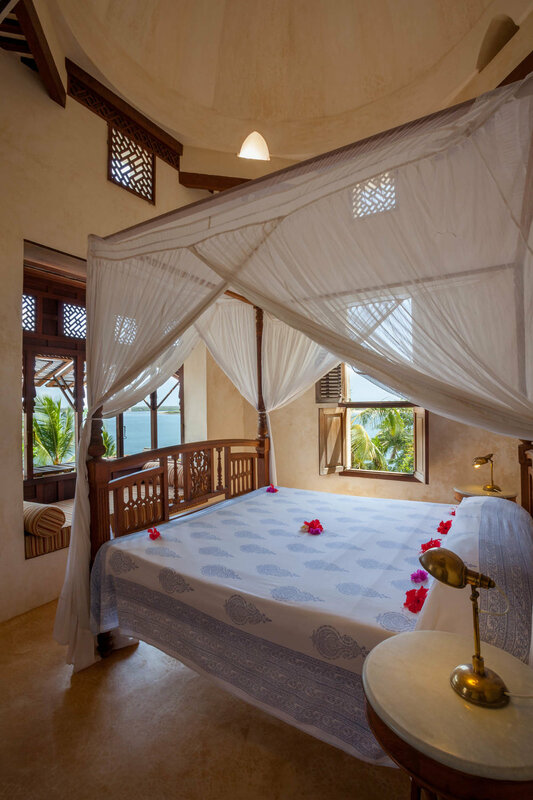 The first bedroom has a double bed with wooden fold back doors and an en-suite bathroom with bath & shower overlooking the ocean. Bathrooms with bath and a shower. 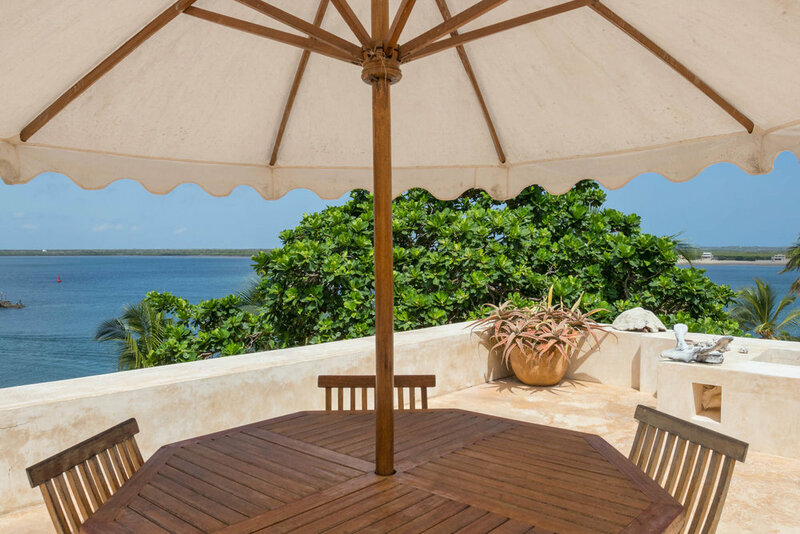 This part of the property can be accessed from the beach through a huge wooden Lamu Door.